Apple did not launch iPhone 7S. Instead, they went ahead with redesigned iphone 8 and iphone 8 plus. 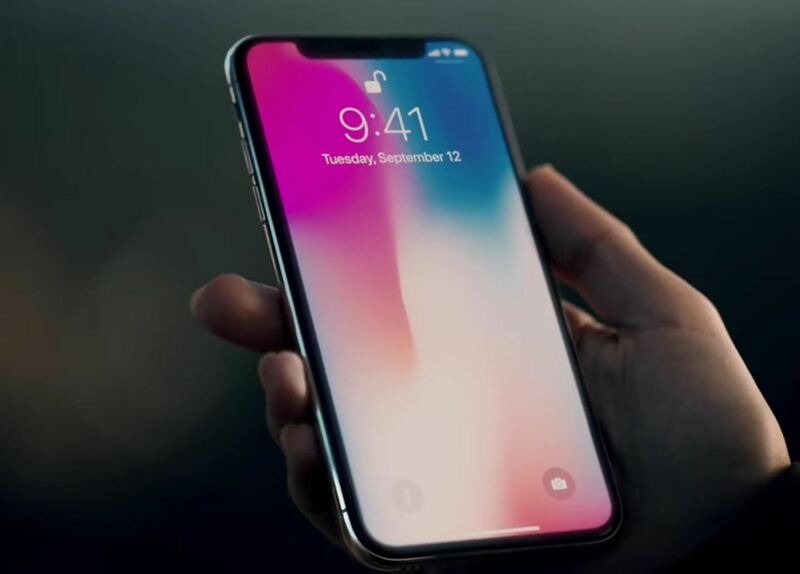 Apple launched an exclusive phone, iPhone x (pronounced iphone ten) in the due process to make the launch even more exciting. To make it easier for everyone to get familiar with the device, we have compiled a list of updates and features in this flagship phone. Also, we will be adding a similar post for iPhone 8 & 8 Plus. For making a preorder, iPhone X will be available from October 27. In stores, it is expected to come by November 03. Just like iPhone 8 models, it will available in 2 variants: 64 GB, and 256 GB. Unlike iPhone 8, iPhone X is exclusively available in 2 colors: Space Gray & Silver. The new iPhone X will be using Retina Display with HDR. It is same as Samsung Galaxy 8, but iPhone X comes with Super HD Retina moniker. The new model features a display of 2436 x 1125 pixels. This is equivalent to the pixel density of 458 ppi. Along with these features, the new model will also feature Apple’s True Tone Technology. A combination of all these has resulted in a display which is better than any previous model. The display on the front face of iPhone X has almost negligible bezel. With the screen size of 5.8-inch, the size of the phone is almost equivalent to 4.7-inch iPhone 7. Hence, even with a bigger display, the phone is really compact. iPhone X is powered by a six-core A11 processor. iPhone 7 was powered by A10 processor. A11 processor contains 2 cores that are 25% faster. The remaining 4 cores high-performance cores and are 70% faster. It also comes along with a 2nd generation Apple-designed performance controller with 70% faster multithreading. 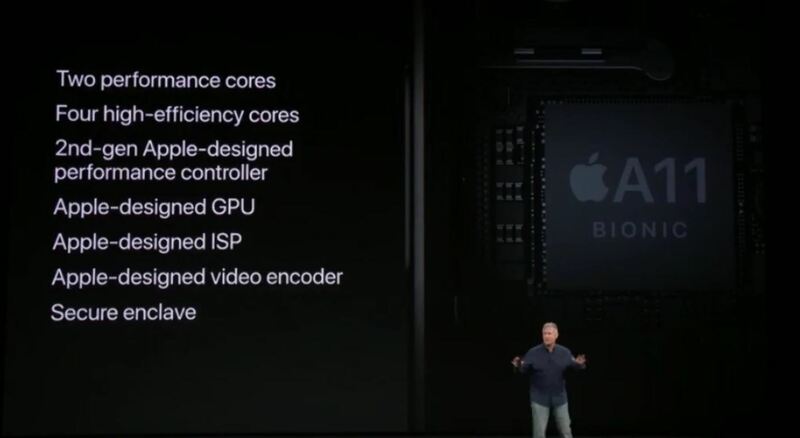 iPhone 11 also has an Apple-designed GPU which is 30% faster. the glass panel is reinforced with copper structure and internally welded steel. Just like iPhone 4, iPhone X will have the rigidity of stainless steel. Well, this is a dream come true for many users. Wireless charging has finally arrived and it is an integral feature of this phone. iPhone X can be charged with any Qi-certified wireless charging pad. Also, Apple is closely working with Qi to provide better compatibility. iPhone X, iPhone 8 and iPhone 8 Plus, all models are capable of fast charging. In about 30 minutes, they can be charged up to 50%. The only requirement is that you have to use Apple’s USB-C adapter. 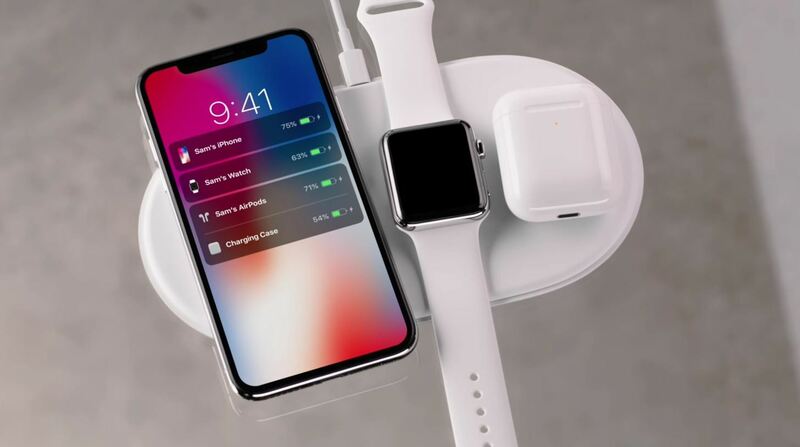 Since the iPhone X comes with a USB power adapter, you will need a compatible USB-C adapter and a lightning-to-USB Cable. That means another $75 – $100. 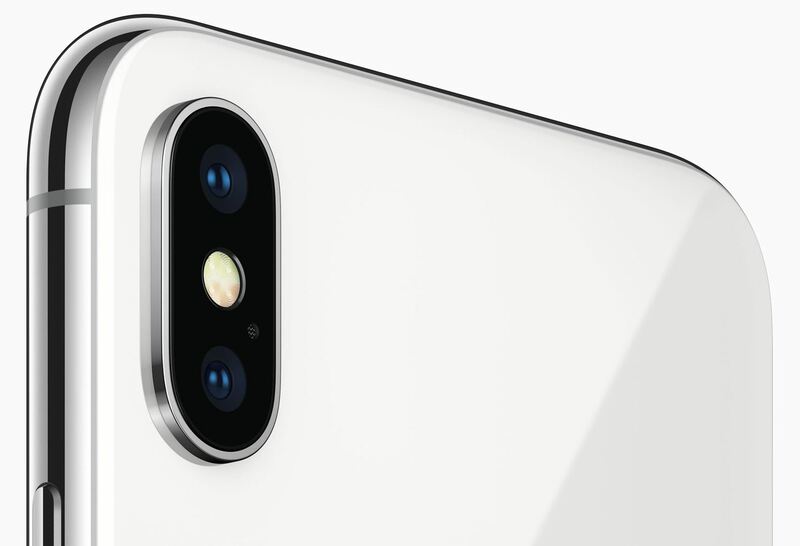 iPhone X features a 12 MP telephoto lens and a 12 MP wide-angle lens on the rear. The telephoto lens has an aperture of f/2.4 while the wide-angle lens has an aperture of f/1.8. These features are available as it is in iPhone 7 and iPhone 8.
iPhone X comes with OIS. OIS stands for Optimal Image Stabilisation. The OIS technology is available with both the lenses. Also, both iPhone X and iPhone 8, will feature Apple’s Portrait Mode feature. Also, they are capable of recording slow-motion videos at 1080p at 240 fps. The front camera of iPhone X comes with a True Depth Technology. Featuring an aperture of f/2.2, this camera is a game changer in the smartphone world. Earlier, fingerprint sensor was the primary way to unlock your phone. With its omission, facial recognition has been made the primary mode to unlock your iPhone. 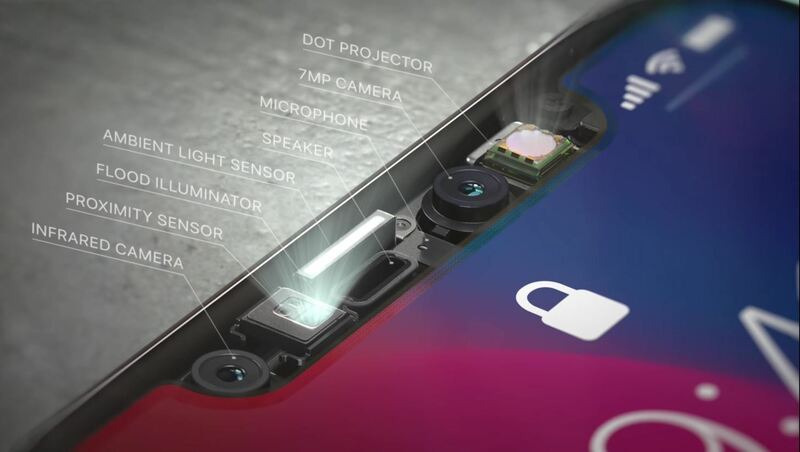 iPhone X features an infra red sensor, flood illuminator, and a dot projector. These three technologies help iPhone X to detect faces with unprecedented success. It performs equally well in low lighting conditions and obstructions such as eyeglasses and facial hair. To unlock, face ID in iPhone X requires you to look exactly on your phone. That means that you have to directly look on your phone to unlock it. Hence, it prevents unauthorized access to some extent. According to Apple, the chances of bypassing is 1 in a million compared to 1 in 50,000 of Touch ID. You can use both cameras, front as well as real for portrait mode. Also, with the help of Portrait Lighting Mode, you can change lighting conditions to look at your best. Since Apple has advanced sensors for facial recognition, it can capture facial movements and convert it into an animation. Animojis stands for animations and emojis. Animojis provide an exciting way to communicate with your friends and family. Following the iPhone 7, iPhone X has a water resistant rating of IP67. It means that it can stay underwater for up to 1 metre i.e. 3 feet. Well, iPhone X is a one of those flagships phones to look forward to. Its features speak for themselves. What are your views?